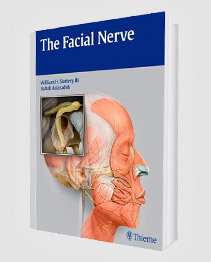 The facial nerve controls facial expression and movement and passes directly through the parotid gland, an organ that enables verbal and non-verbal communication. This nerve exits the stylomastoid foramen and enters the core of the parotid gland. When a patient develops a parotid tumor, in most cases the tumor grows next to or on top of the facial nerve. And it is not until surgery begins that you can actually see where the facial never is in relation to the parotid tumor. This makes surgery to remove the parotid tumor very complex and requires a facial nerve expert to ensure the nerve is preserved and not damaged during the surgery. When performed by an inexperienced surgeon, the risk of facial nerve damage and resulting paralysis increases. When it comes to parotid surgery, it is important to work with the best team of head and neck surgeons facial plastic and reconstructive surgeons available. 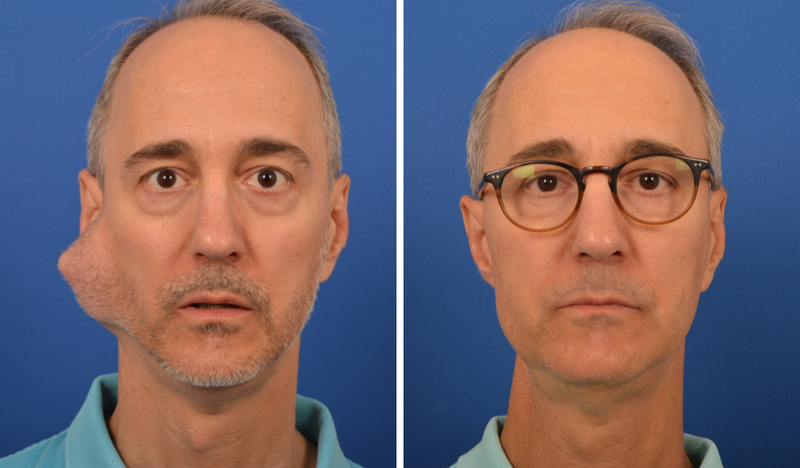 At the CENTER for Advanced Parotid & Facial Nerve Surgery, our expert team provides a safe, proven parotid surgery designed to preserve the facial nerve. 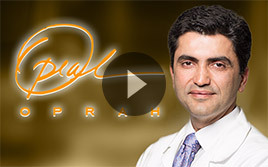 As part of parotid surgery, highly trained parotid surgeon Dr. Babak Larian works with facial nerve and preservation expert Dr. Babak Azizzadeh. Together, the duo possesses extensive facial nerve knowledge to perform a successful parotidectomy. Dr. Larian will begin a parotid surgery with a small incision along the skin’s natural creases on the ear and around the back of the ear to guarantee the resulting scar is hidden. Next, he will lift the skin from the underlying parotid gland and separate the gland from the surrounding tissues, thereby gaining access to the facial nerve. Dr. Larian then will work with Dr. Azizzadeh to discover the facial nerve’s main trunk, which exits the skull. During the next stage, Dr. Larian and Dr. Azizzadeh will find the facial nerve’s main trunk as it exits the skull. With a Nerve Integrity Monitor, Dr. Larian and Dr. Azizzadeh will observe and protect the facial nerve and its branches throughout surgery. After the parotid tumor has been removed, Dr. Azizzadeh will verify the facial nerve’s function by stimulating its branches and main trunk. Once nerve integrity has been confirmed, Dr. Larian and Dr. Azizzadeh will reconstruct the area to guarantee both sides of the face are symmetrical and provide an extra layer of protection to prevent Frey’s syndrome (sweating on the cheeks when you eat). 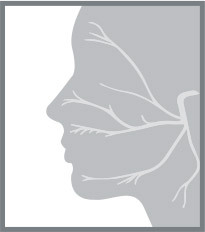 It also is important to note that all patients have a unique facial nerve anatomy, so tracking the facial nerve is never the same in each patient. 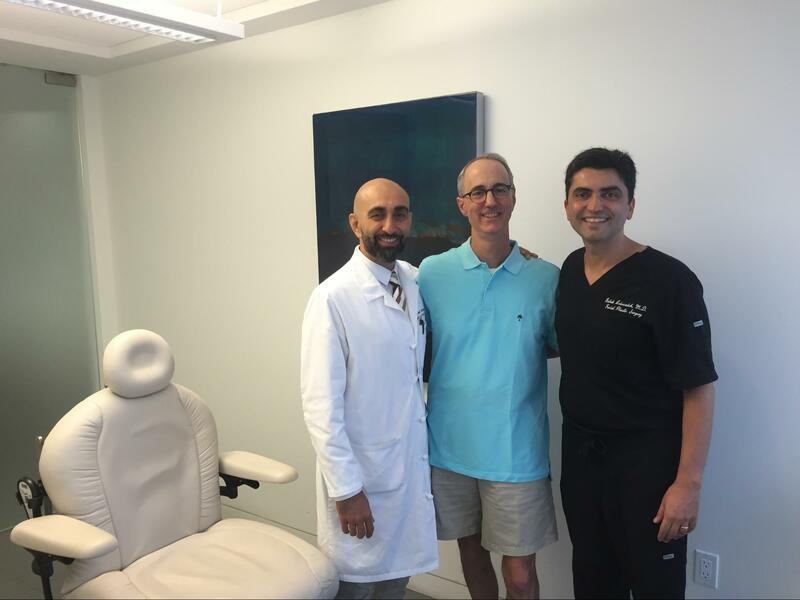 Dr. Larian and Dr. Azizzadeh have more experience in facial nerve anatomy than any other group of parotid surgeons, providing their patients with the highest success rates. Their goal is to not only remove the parotid tumor, but to also preserve and save the facial nerve so that the patient can wake up from surgery with a smile on their face! 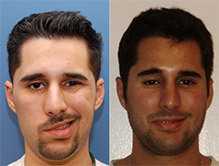 To learn more about parotid surgery, please contact the CENTER at (888) 687-6118.